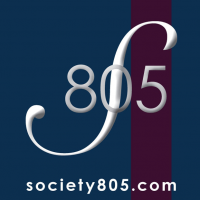 Society 805 - Is the 805 Ready for a Regional Arts Council? The 805 area has the critical mass in terms of artists, arts institutions, and population of a major city. It is a culturally contiguous region with supporting wine, restaurant, and film industries, plus museum, transportation, and tourist infrastructure. It has a score of small towns and centers facing similar core economic re-vitalization and cultural problems, including tight city budgets and increasing infrastructure costs. Does it make sense to keep pursuing a balkanized arts and culture strategy with each town duplicating vital marketing, staffing, and organizational costs? Is it time for a regional approach instead? And it is just not cost equations that makes a regional strategy more effective: there are questions of reach, market penetration, critical mass, and message, where a regional approach can do things a single town or institution has great difficulty doing. In terms of reach, a regional strategy almost by definition gets regional reach that naturally extends to national, and more easily to international reach. Market penetration becomes easier as people relate to broad regional distinctions, which carry over onto the towns and institutions within them. Critical mass is achieved as the accumulated resources across the region start to equal a small, or even significant city. Messaging becomes stronger on several levels as a noisy, diverse, clamor from hundreds of smaller, often competing messages coalesce into a single coherent message with deftly coordinated “sub-messages” distinguishing key cultural institutions and centers. Then an institutional or city message can “ride the coat tails” of the regional identity. The cost advantages will always be there, too: Group advertising campaigns become possible, with shared costs vastly reducing the cost per institution or city, yet with the clout and penetration of a more expensive campaign. Suddenly you are able to compete for the attention of arts and cultural tourism on a par with major cities. Staff, marketing resources, budgets, and expertise can also be distributed and shared. The key components to getting there involve two things that may be sticking points for the 805: to initiate a regional strategy, you need an organizing entity capable of effectively coordinating it. And it has to produce an effective brand name and branding for the region. Usually this involves some entity linked to a political entity capable of collecting taxes or fees, such as a city or county, or in some cases, an entire state. This is what the 805 does not have: a single governmental entity covering the region: The 805 covers three counties, from San Luis Obispo to the southern Ventura county line, and a dozen city art centers. But it is not a matter of re-inventing the wheel. Regional cultural branding is actually one of the oldest forms of art marketing there is. It predates the industrial era. It is why we have Champaign, and every culturally educated person in the Western World knows about Tuscany. or the French Riviera. It was recognized long ago that if you didn’t have an urban uber-center, such as Rome or Paris to work with, you’d better promote as a region first, if you really wanted to impact your local arts and cultural economy. One of the fears is that the special flavor and identity of special events, institutional, and city identities will be crushed if a regional entity is used to pool resources and coordinate a regional strategy. The important thing to remember in this regard is that this strategy has to be an “and”, not an “or” approach. To see how this works, just remember the examples already out there: Does the Cannes Film Festival suffer because the French Riviera promotes itself as a region? Of course not, the Riviera and the Cannes Film Festival both gain from the greater recognition of each brand. Likewise, the Santa Barbara Film Festival, Ventura and Ojai’s film and music festivals, and arts institutions, such as the Santa Barbara Museum of Art, or even entire towns, such as Solvang and Santa Barbara, all of which already have effectively delineated distinct identities, should not suffer, but gain from inclusion within a more powerful regional identity. In some sense the 805 cultural zone has issues similar to Tuscany, since much of Tuscany is a quick drive to Rome, and we are right next to Los Angeles. We both have a rich wine region, both of which struggle against better known wine regions, combined with unique smaller towns with their own distinct identities and indigenous culinary, arts, and cultural traditions. The key is to create a regional arts council which is capable of coordinating a trans-region strategy and marketing, in return for support from the institutions, cities, and counties involved, including pooling human and monetary resources. Such an entity also should be able to generate additional funding streams via its own grant and development initiatives. In some cases, there have been some regional efforts here, usually aligned with a given industry, such as an agricultural segment such as wine or various growers organizations. But even then, these efforts have run up against far better funded and established efforts from other regions. Combining forces with the arts and culture is a way to gain superior penetration and critical mass. You can do things that you couldn’t do before. Suddenly it gets that much easier to get those articles in the AAA, travel, and airlines magazines and web sites. Promotions that include food, wine, AND art carry a lot more clout as well as command much better pricing positions. But where to start? That is the question that no one in the 805, including the Society805.com online magazine, has been able to answer. Right now, not enough people are even aware of the question. So we raise the question. But continuing the present situation of duplicating efforts and resources and costs across dozens of cities, three counties, hundreds of arts institutions and entities, is wasteful and ineffective. Often competing against each other, it is difficult for anyone in the 805 to get noticed regionally, let alone nationally or internationally. But if you only get people from the other side of town to your event or institution, you’ve only moved money around inside your local economy. That’s not a bad thing. It just makes it difficult to grow. If you really want to use the arts to transform your economy, you have to entice money from other economies, outside your own micro-economy and bring it into your local economy. That means you need national and international reach. Art walks and arts-friendly local programs and institutions can revitalize your urban core and clean up your town, which is a vital first step. This reduces crime, raises values and quality of life for those already here. That is always a good thing. Such efforts are always good to do and pay off in themselves. In the 805 a lot of towns have already achieved this, such as Santa Barbara and Solvang. Others are well on their way to achieving this, such as San Luis Obispo, Santa Paula, and Ventura. Others have recently started initiatives in this direction, such as Camarillo. Certainly, certain events and institutions, on their own, can generate sufficient regional and national attention, if they are conceived and organized to do so, such as the Santa Barbara Film Festival and the Santa Barbara Museum of Art, or if we ever do a true international Art Fair here, something we already have the resources to do. Malala Yousafzai, An Afternoon with the 2014 Nobel Peace Laureate.